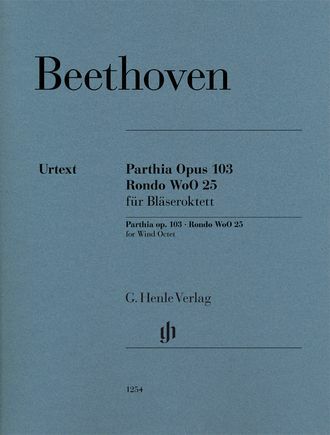 “His present pieces must convince both connoisseurs and others alike of the unbiased opinion that Beethoven will in time become one of the greatest composers in Europe”, thus wrote Joseph Haydn, when informing the Elector in Bonn on the progress of his pupil in 1793. However, the elector replied that he was already familiar with parts of the Parthia op. 103 that had been sent as evidence of the composer’s progress. Beethoven had apparently only reworked an earlier composition. 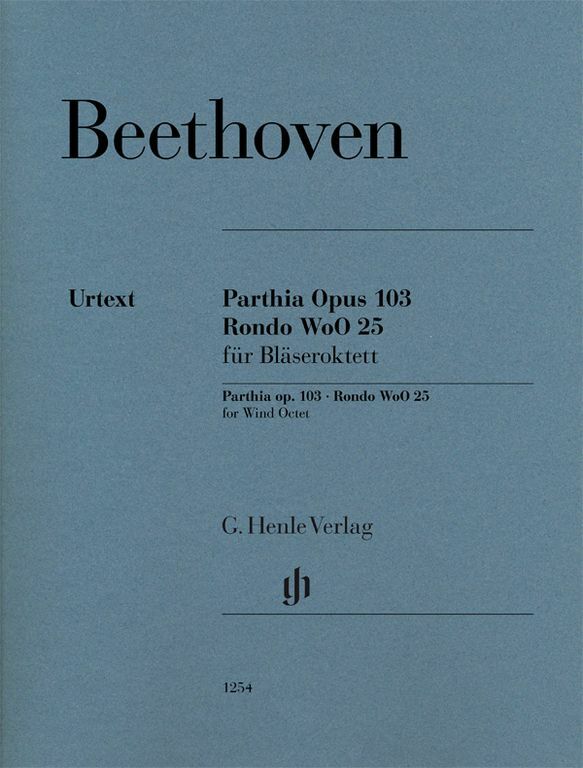 Nevertheless we must agree with Haydn: The Parthia and the Rondo WoO 25 that was originally intended as the final movement provide wonderful evidence of Beethoven’s great skill. Our Urtext edition also contains additional parts for horns in F.